The route is 250 miles of mixed terrain: Singletrack, forest road, paved roads, bike trails, double track and grassy abandoned easements. Typically the event includes the use of the Fort Gates Ferry in Welaka Florida. In the event the Ferry is not running, riders can expect a detour north Thru Palatka. The ride takes place on the Coast to Coast Northern Cross Florida route and can be ridden at anytime. The Second Saturday in December, Riders from all around gather for a grand depart and go at the route at the same time. Check back here for details on how to join the big show!!! 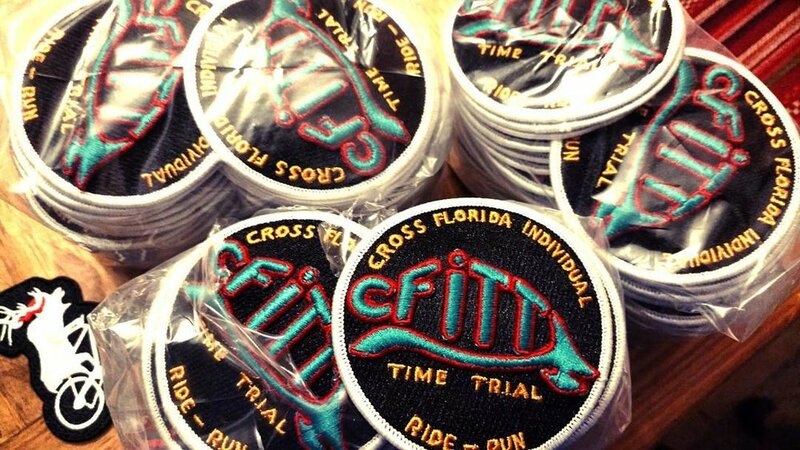 Every time you register for a ride with me...you get a patch designed by myself and a team of artist and collaborators...each patch has meaning and a story to it. There are limited quantities available of the 2017 Patch.. If you would like one Pay Pal me 7$, include your name and address in the notes and I will send it to you.